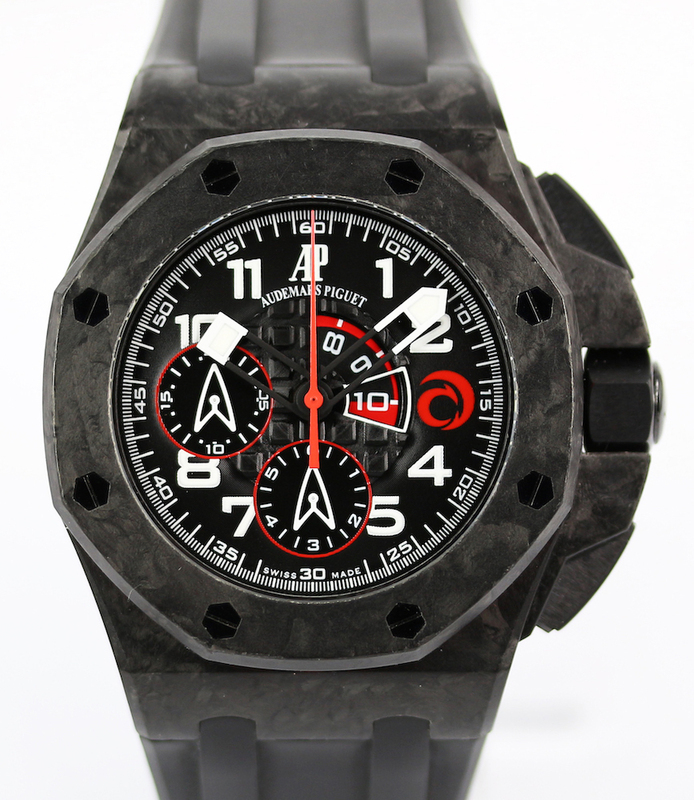 Watch Description: Carbon case and black resin strap Limited Edition of 1300 pieces for the 2007 Americas Cup, to honor to 32nd Americas Cup Defender. 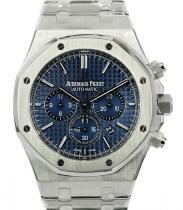 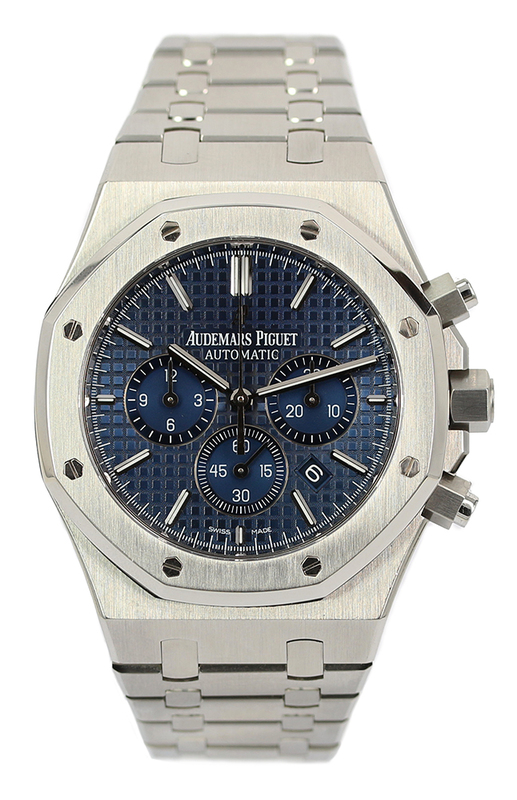 Features a proprietary Regatta complication which allows for perfect race timing. 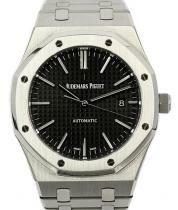 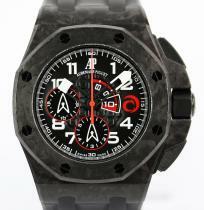 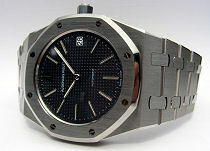 Watch Description: Steel case and bracelet black dial mvt no 568557 . 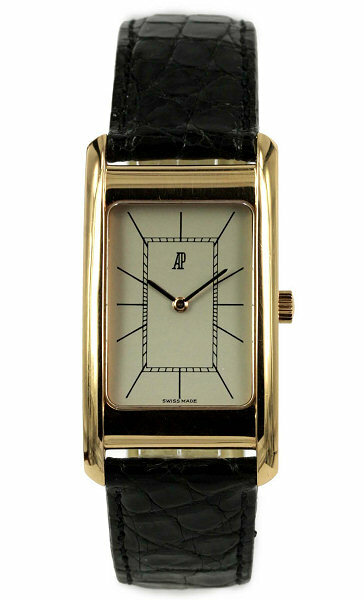 Watch Description: Stainless steel case with screw down crown and pushers. 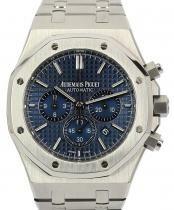 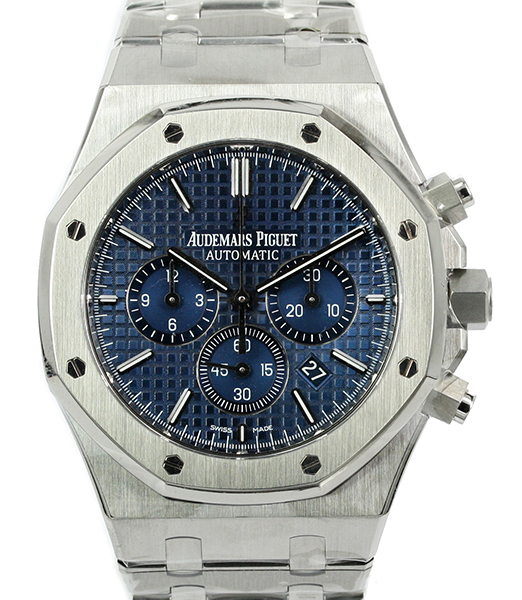 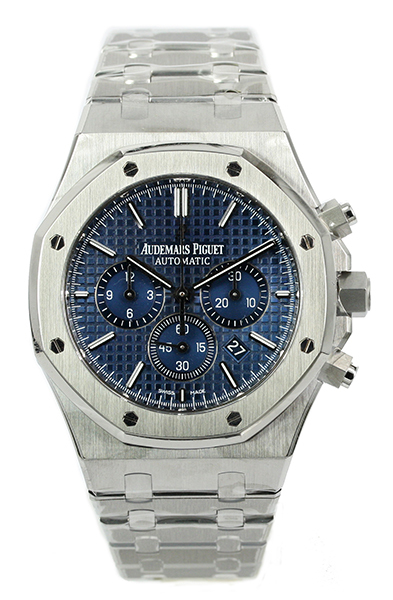 Blue dial with “Grande Tapisserie” pattern, white gold applied hour-markers and Royal Oak hands with luminescent coating. Stainless steel bracelet with AP folding clasp. 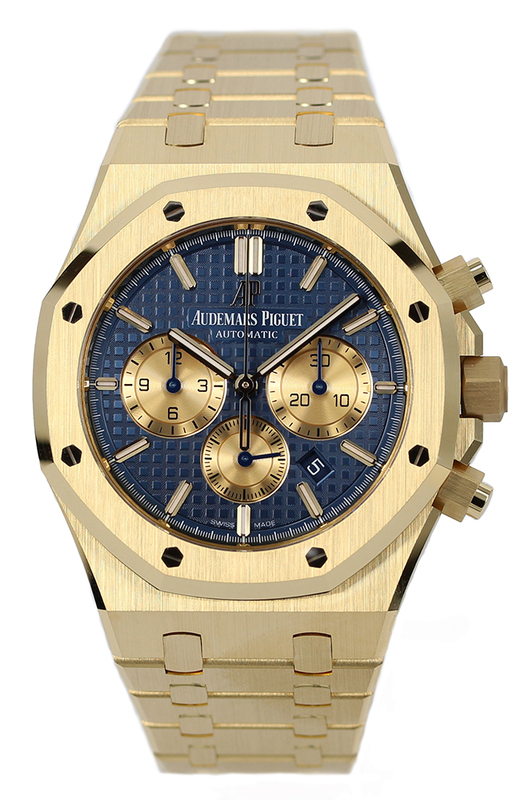 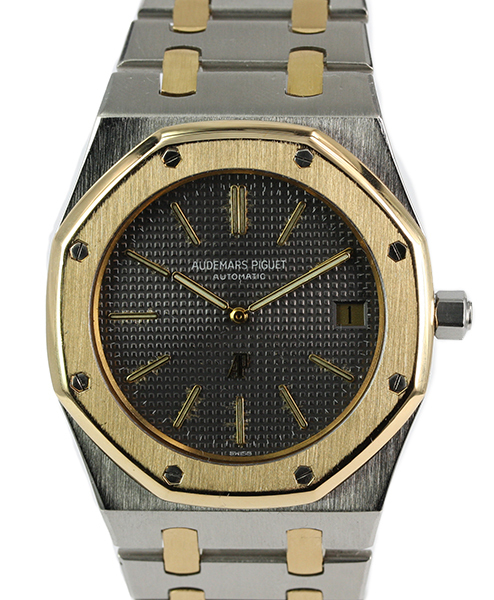 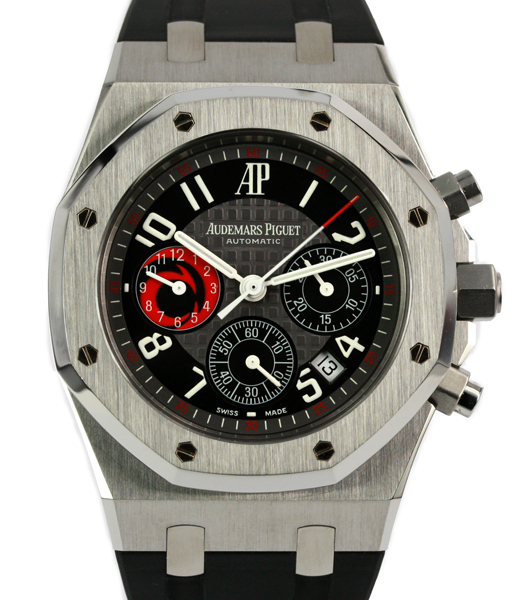 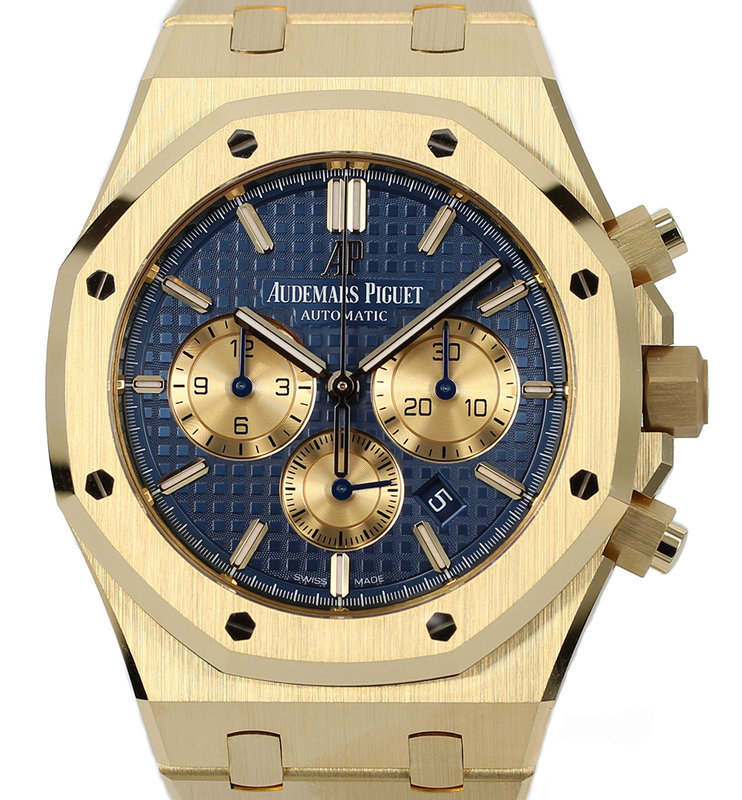 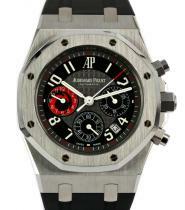 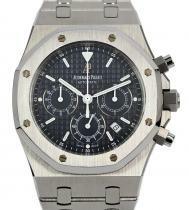 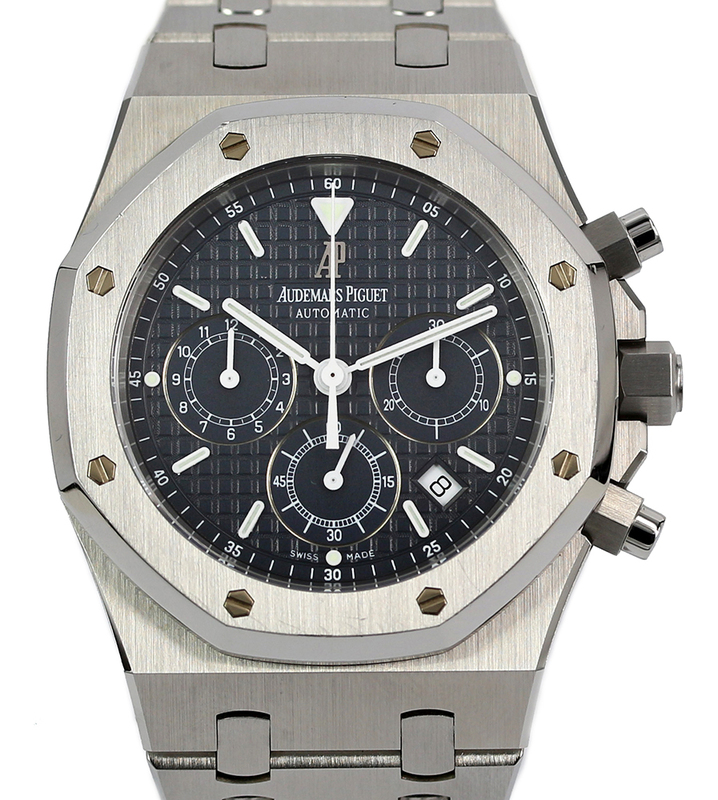 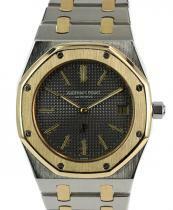 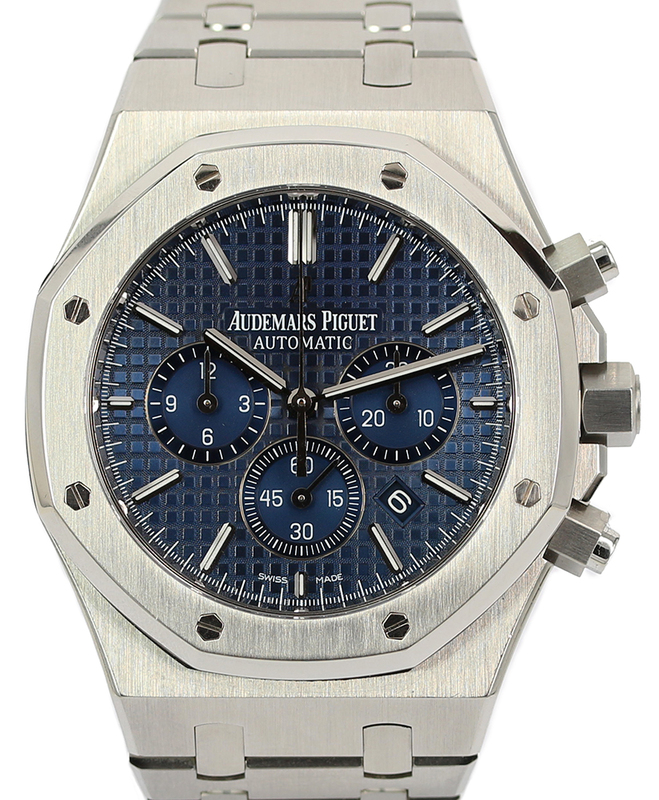 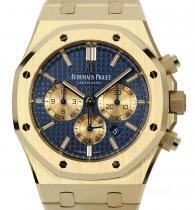 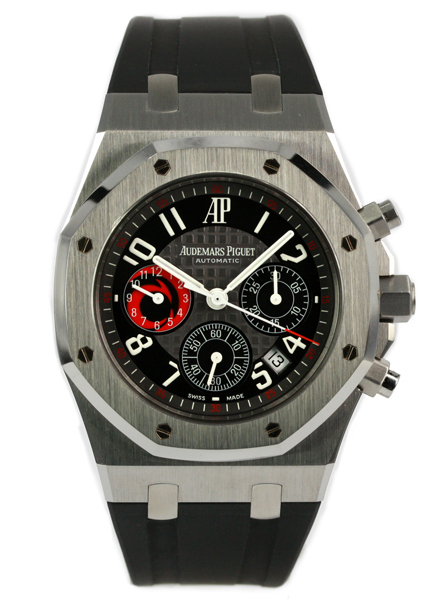 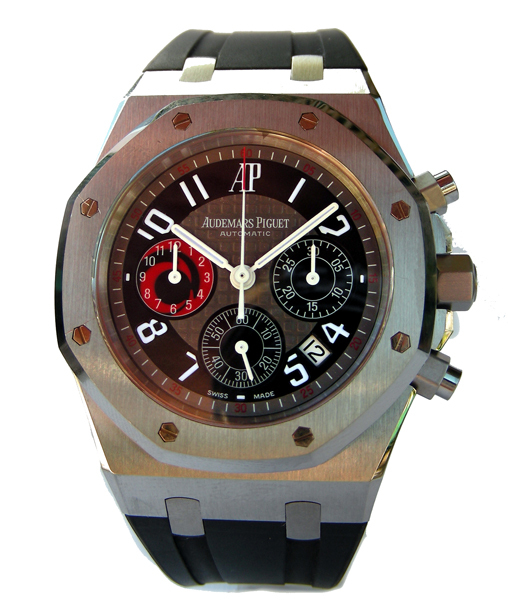 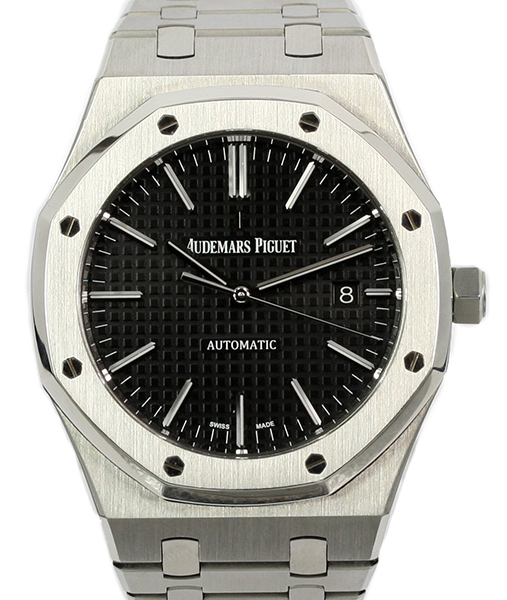 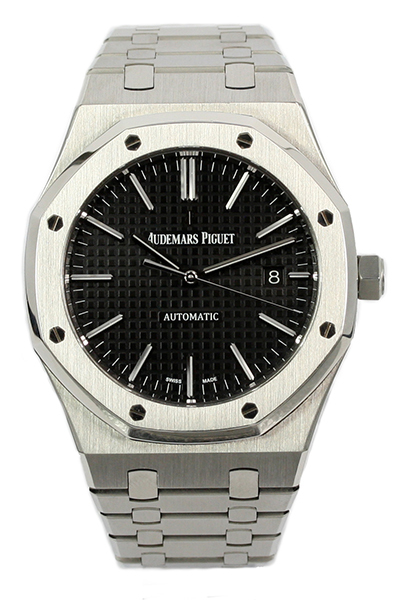 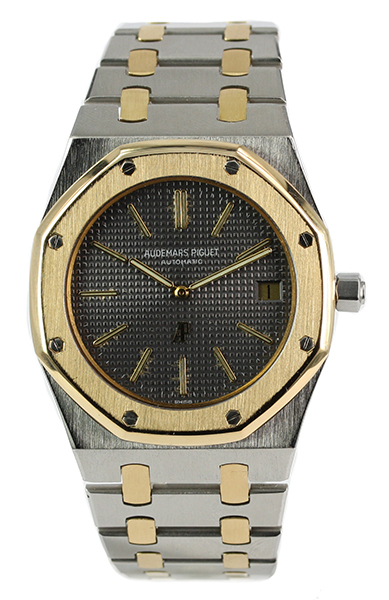 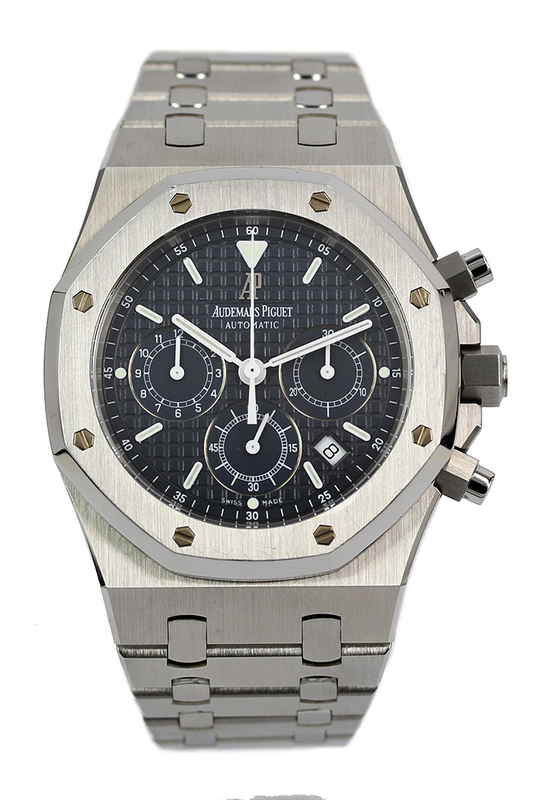 Watch Description: Vintage Steel and 18ct Yellow Gold ‘A’ series Royal Oak, original anthracite grey dial with Clous de Paris engraving. 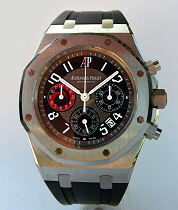 Audemars Piguet Caliber 2121 movement, 36 jewels and 21k gold winding rotor. 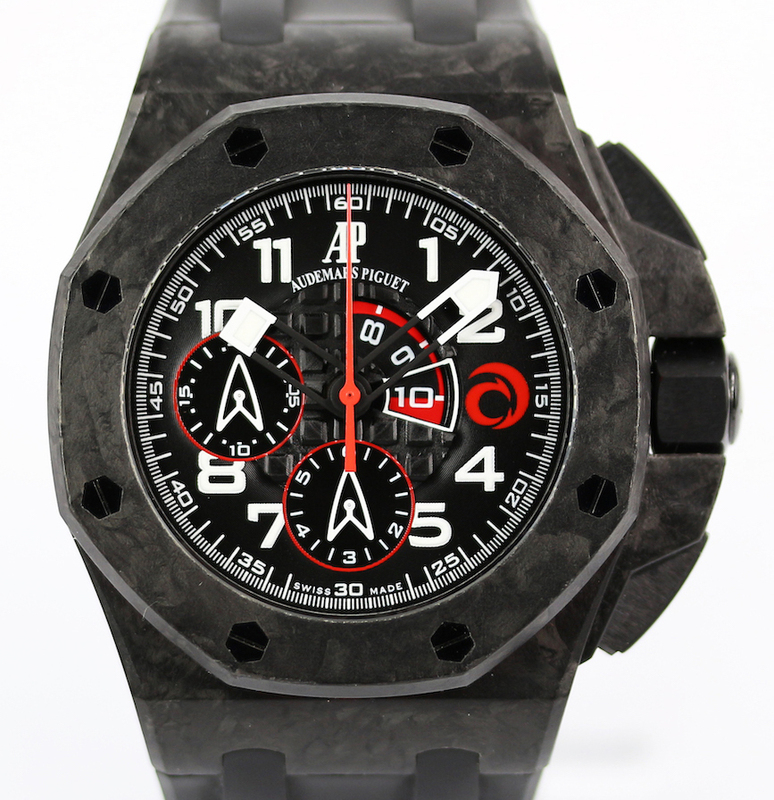 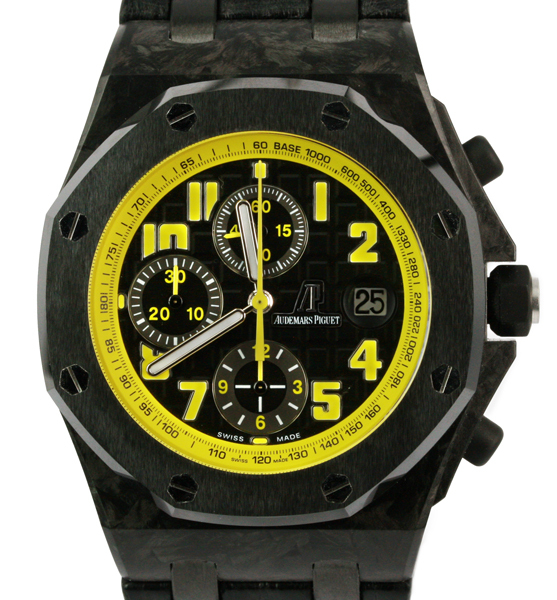 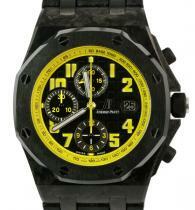 Watch Description: "Royal Oak Offshore Bumble Bee," forged carbon fibre case, octagonal ceramic bezel, titanium, stainless steel, rubber and Ceramic watch with date, chronograph registers, tachometer. 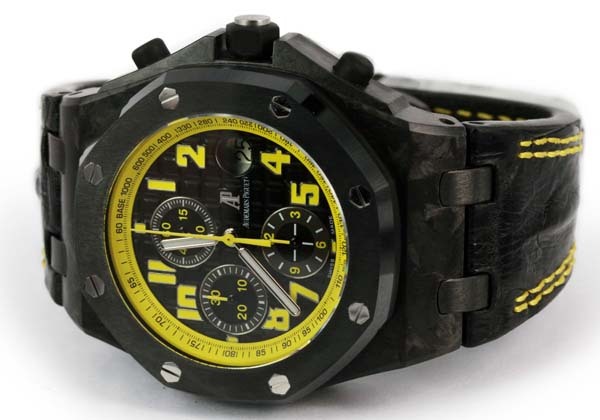 Black croco strap with titanium and PVD deployant clasp.